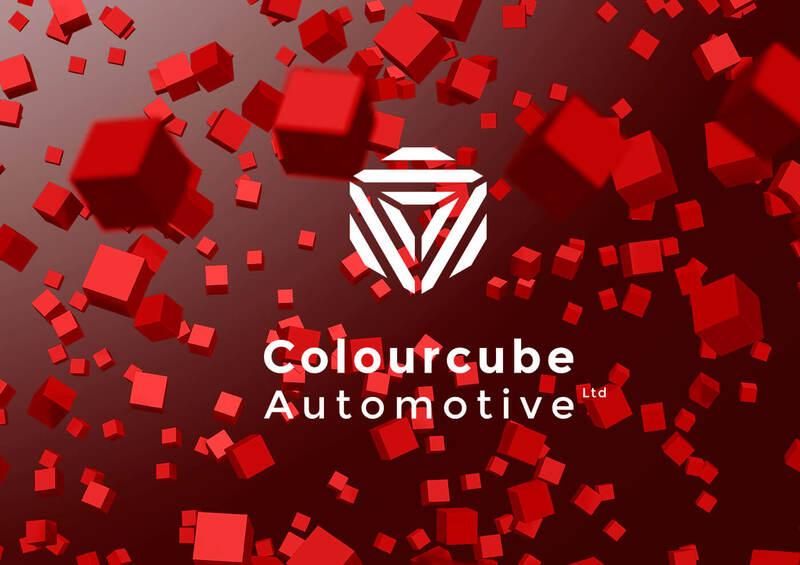 Recently we’ve had the pleasure of helping with the launch of new vehicle body care company Colourcube Automotive Limited. They are a great team to work with and their service is the highest quality in paint and body repairs. We worked alongside them generating ideas to then created a bold, professional identity. In order to further raise the profile of their brand, make it clearer and more unique we decided to introduce illustration to the visual blend. 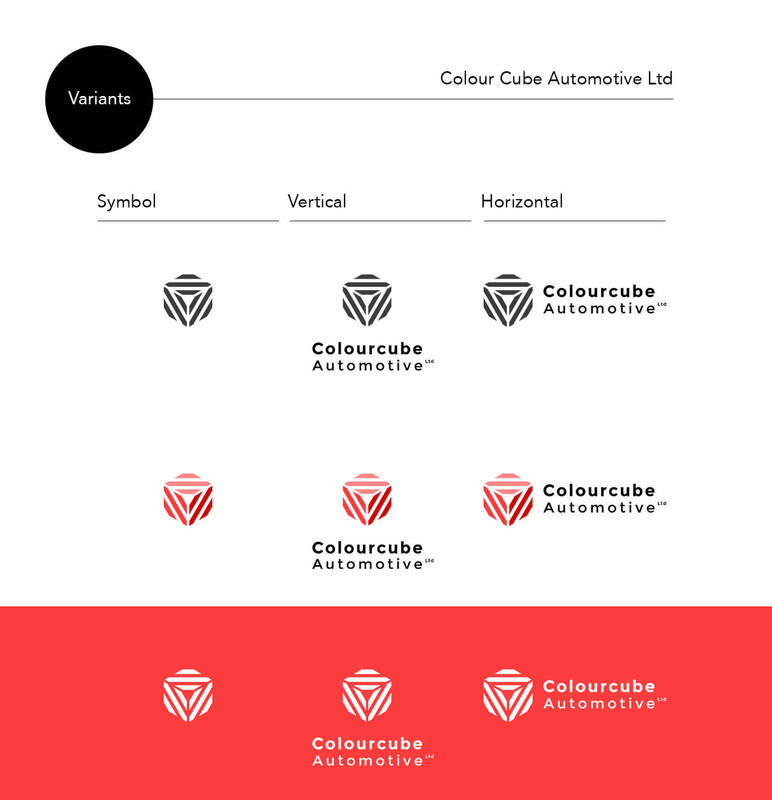 Colourcube needed a number of aspects to be incorporated. In particular; that they reflect motoring heritage, yet are a modern company. They undertake high-end, precision work using the latest technology and are also approachable. The visual identity as a whole had to make them stand out from the crowd of garages and spray shops. You can catch our full designs and illustrations here along with what they said about the work. 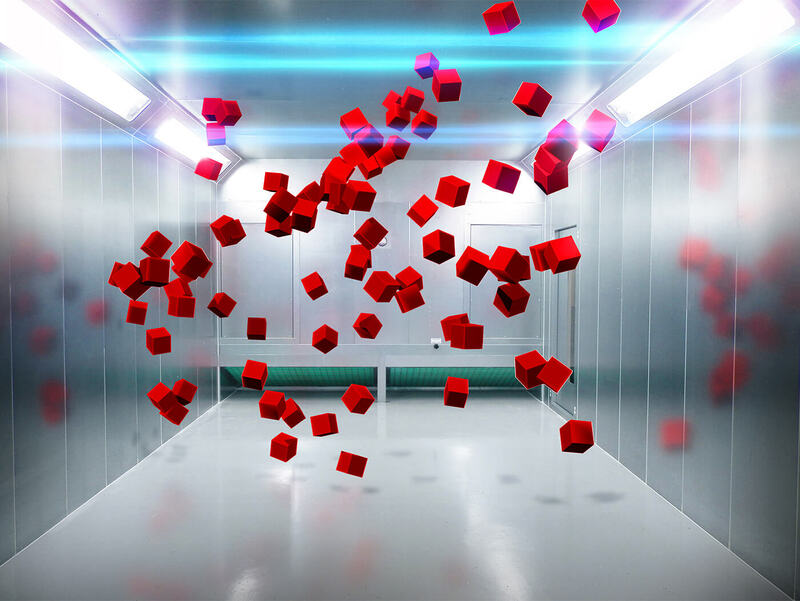 Here an environment is filled with cubes of their brand colour. Represents a spray of paint but with cube shaped particles. It is as if what is sprayed is their care and quality. This abstract image was designed for backgrounds, and is useful for overlaying text and simple graphics over the top in layouts. 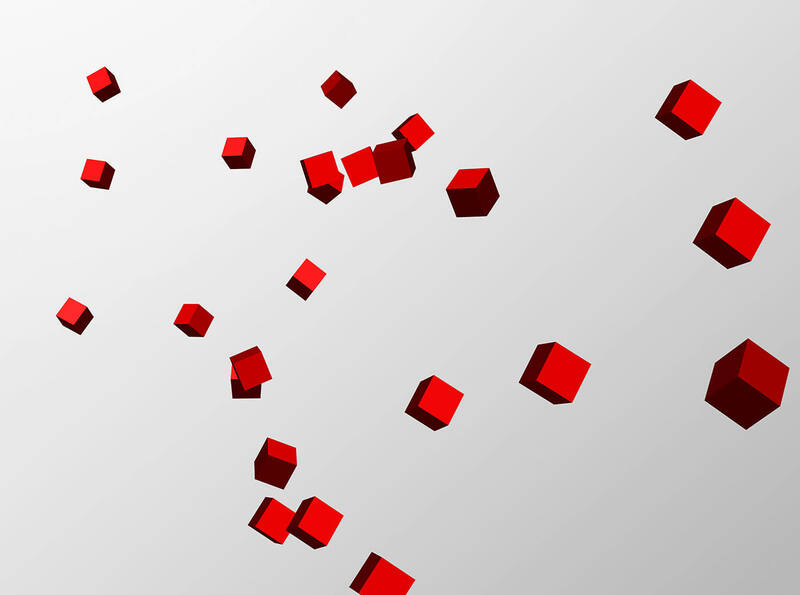 Featured here are cubes moving towards and touching the metal surface of a vehicle. 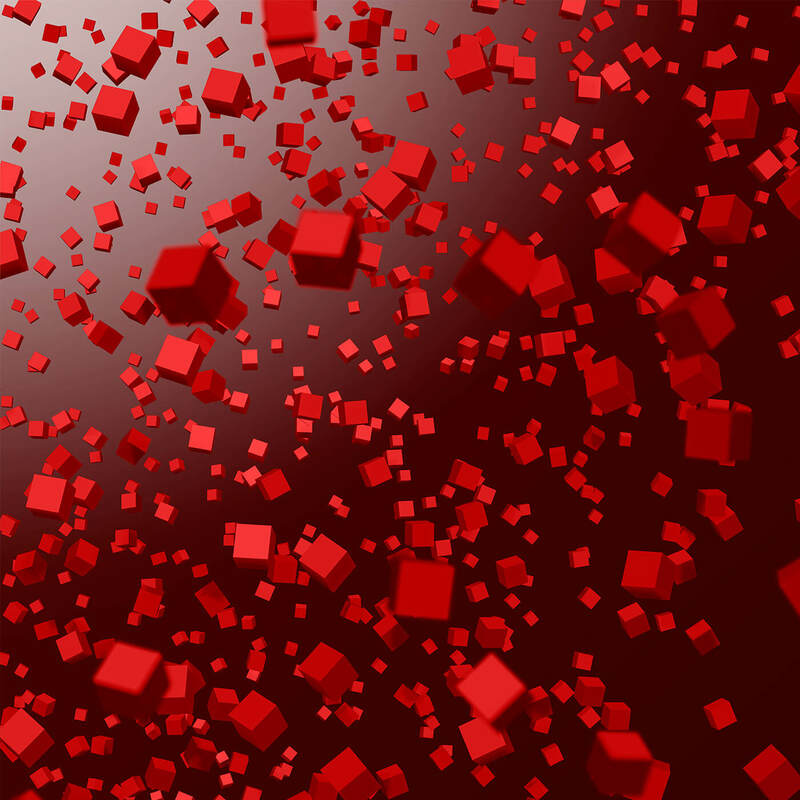 When the cubes touch they alter the colour to the red branded colour. 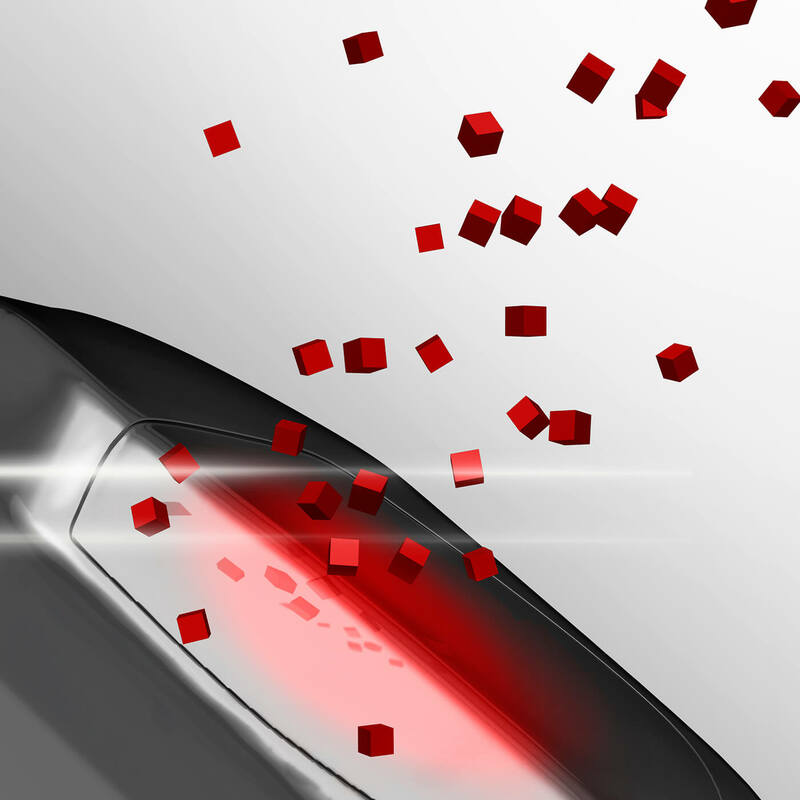 Wherever Colourcube touch the surface of a vehicle it is altered in a positive way. Purpose: Descriptive illustration that is best used as an accompanying image or with small amounts of text overlaying it. This piece was an adaptation of the cubes field idea though is a lighter, more spread out image. This is useful for designs that require less background “noise”. A key feature at Colourcube is their spraybooth. 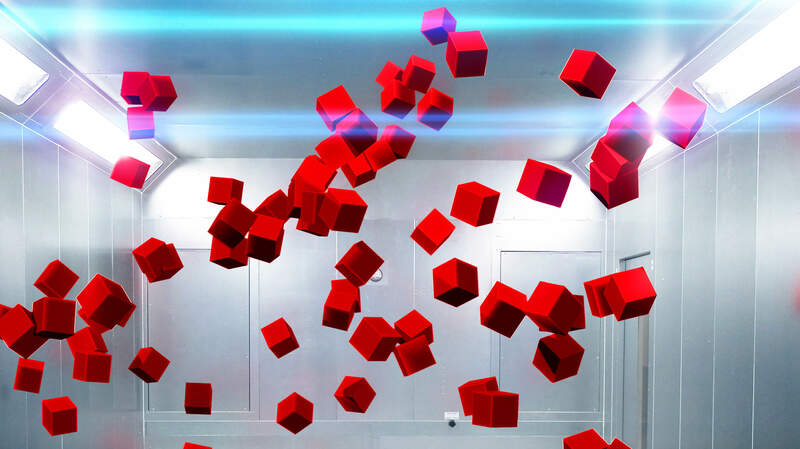 Placing floating cubes in this chamber marks this important operation of the colourcube process. This descriptive illustration is useful for multiple applications including accompanying image and background image. Photos of vehicle body before-and-after work will certainly help in demonstrating their excellent service. However illustration adds something new as they describe the themes behind what they do and why they do it in a style that matches the brand. This forms a part of their overall visual identity. The artworks created for Colourcube allowed for a range of applications including: social, web, signs and printed marketing material. Value was added to the brand by providing compelling assets that can be used repeatedly. Illustration is used to get across those things that words or photos on their own won’t be able to convey. It can be used to generate an emotional reaction . Once we get inside the ideas for a marketing campaign or a brand we can push outwards with illustration to reveal it in new ways not previously seen.